First Exciting Day! New friendships, fun activities, and daily Duch to the Rebbe. Erev and Motzei Shabbos TRIP DAY Album 1!!! TRIP DAY Album 2!!! Night Activity game: Escape from Russia Shabbos winner trip: banana boating (Bunk Hey) MOCK WEDDING ALBUM 1!! MOCK WEDDING ALBUM 2!! Shtetel day and a glimpse into CLUBS!! Color War album 1 Color War album 2 CIT/Waitress trip! Tree Trekking Erev and Motzei Shabbos #2 Topsy Turvy Day/Concert Night! CIT machanayim game with camp Agudah Twin day! Pajama day/Fast day! Wacky Water Wednesday! Waitro MasterChef Competition! Army day laser tag Night activity: pajama carnival! 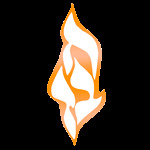 I would like to receive news and updates from Chabad Lubavitch Community Center by email.